Here we’re sharing best and top flash calculators for you. By using these calculators powered by flash, you can calculate loan payment, scientific measurements, body fat percentage and much more. Enjoy the list of best flash calculators. The Health Tool is a handy gadget that will calculate your BMI, BMR and IBW. Simple loan payment calculator. Just enter the loan amount, interest rate, term of the loan in years, and click calculate. Your monthly payment shows up at the bottom. Only 7kb. Currency converter/exchange rate calculator. You don’t even need to open the flash file. The money conversion information is pulled in dynamically from the bank of Canada and is updated daily so your converter is always accurate. This calculator requires no submit button. It calculates the exchange rates when you change the amount in the input box or select either list. You can calculate the monthly loan payment by writing the information in the input text zones or by using the horizontal slider to get the loan amount, down payment, interest rate and the number of years of the mortgage. A Body Mass Index calculator ( BMI ) for Adults over 20 years of age. Comes in Imperial and Metric measurements. Comes comlete with Imperial as default and Metric as default FLA /SWF versions. Will display 4 weight categories when calculation is completed. Obsese, Overweight, Normal and Underweight. Will auto tab to the next box without using the tab button. A mortgage payment calculator to work out either capital or interest only payments on mortgage details entered. You can switch the currency signs between (£ & $) and required input boxes are highlight if blank. This calculator is easy to use in your ActionScript 2 project. Simply copy and paste the calculator movieClip into your FLA and treat it as any other movieClip. It can do any addition, subtraction, multiplication and division calculations just like your windows calculator. With Memory plus, minus, recall ans clear. Powerfield can also solve mathematical equations, convert between different units and currencies and used as a launcher too! Dynamic Currency Converter V1.0 has been made scalable and reusable for the end user so that the user attains its full potential. This calculator calculates body mass index of a person. The loan / mortgage calculator v2 for AS3 works to calculate the monthly loan payment and provides a lot of useful details for a loan or mortgage scenario. This is a loan repayment calculator which calculates your payments(yearly,half-yearly,quarterly,monthly or weekly) based on loan principal,interest rate,loan term and payment frequency. Simple Body Mass Index calculator that supports the metric and imperial measuring systems. The XML Calories Calculator is a complete solution to calculate your spent calories according to some activities and display latest news on the website. The news can be local or from an RSS feed. 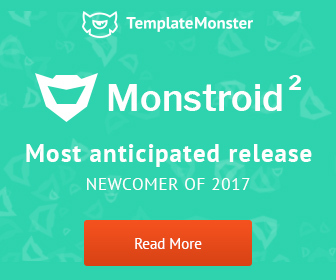 This widget can be used as a teaser on the main page of the website. Flash calculator with complete scientific functions. This will be very useful to anyone for normal and scientific calculations.